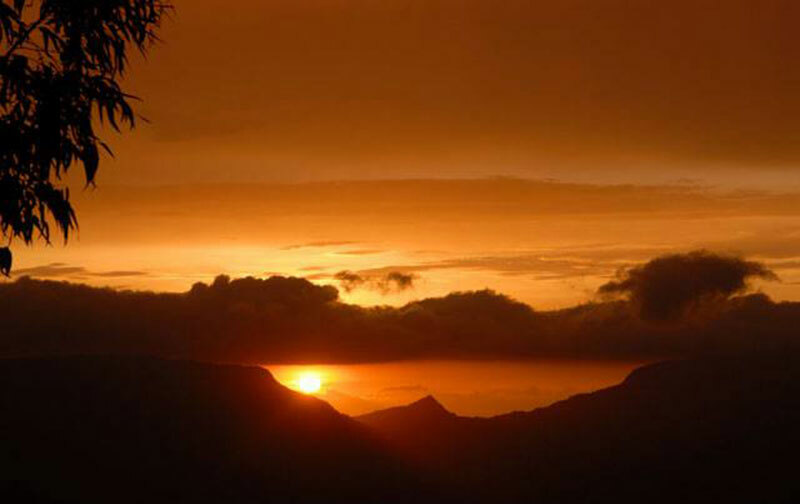 Panchgani is one of the best hill stations amongst most places near Mumbai/Pune. Along with the nearby Mahabaleshwar, Panchgani is considered one of the “must-visit” hill stations in Maharashtra and tourists from nearby metros of Mumbai, Pune and other parts of Maharashtra, India as well as abroad throng this place to relax and rejuvenate their senses. It has generally been in the shadow of its more famous neighbor, Mahabaleshwar, yet it has its own tourist influx and often it is very difficult to find empty Hotels in Panchgani. The Krishna River, which cuts a meandering course through the smaller valleys below, keeps the valleys lush green through the year. The local municipal government declares it to be the “Switzerland of India” and Panchgani’s beauty definitely gives this statement authenticity (maybe just the absence of snow). It is breathtaking to view the various hamlets and small villages waking at the crack of dawn and cultivating the numerous paddy fields on the plains below. Hotel Ravine is on the main road to Panchgani thus making it extremely accessible to reach. You can walk down to the market center or can hire private taxis to reach there. Check out Ravine’s strategic location on the Mahabaleshwar/Panchgani map by clicking here. 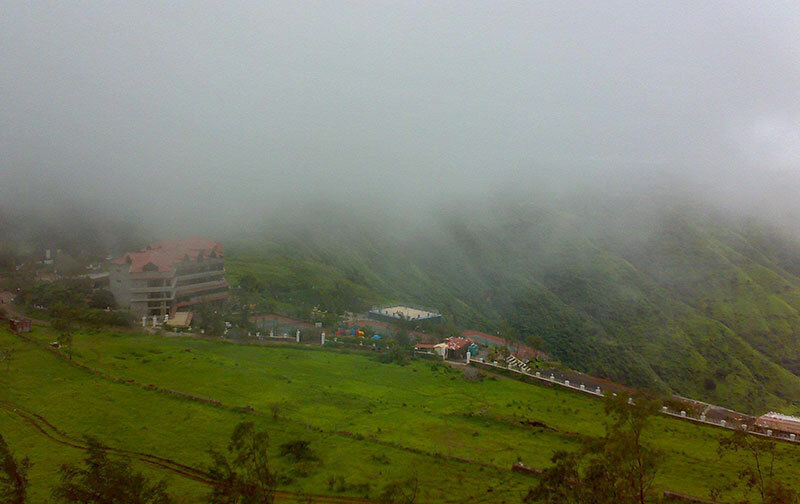 Panchgani offers cool climate all year long. Developed by British superintendent John Chesson as a place to retire for the then rulers, Panchgani was developed from an unrecognized piece of virgin earth into a commercial place for human habitation. 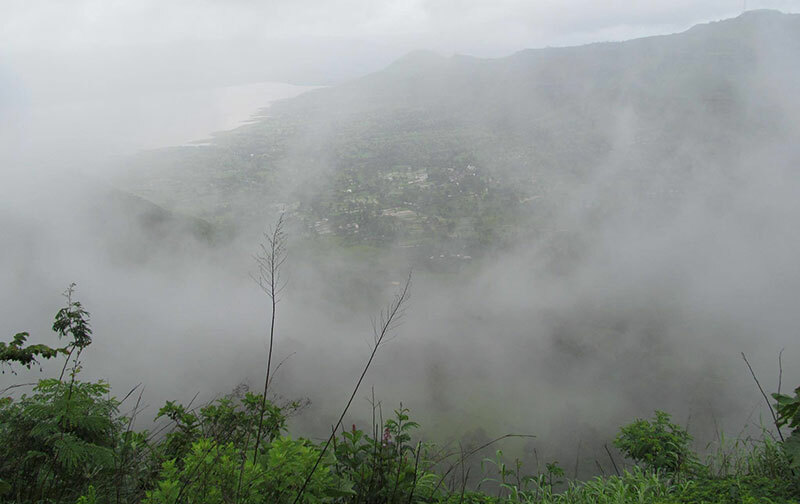 Yet, it has still not lost its natural touch and there are various tracts of trek-able land in and around Panchgani. It is bordered by five hills and there were five villages on the outskirts of this beautiful piece of earth. Its altitude is lesser than Mahabaleshwar, but it enjoys the same cool breeze and the low humidity is extremely pleasant, thus leaving you feeling fresh even after hours of excursions along Panchgani’s enchanting roads. The overall weather is pleasant throughout the year. The summer season, lasting from March to June, generally attracts the maximum crowd. Normally weekenders who are looking for place near Mumbai/Pune flock this place throughout the year. 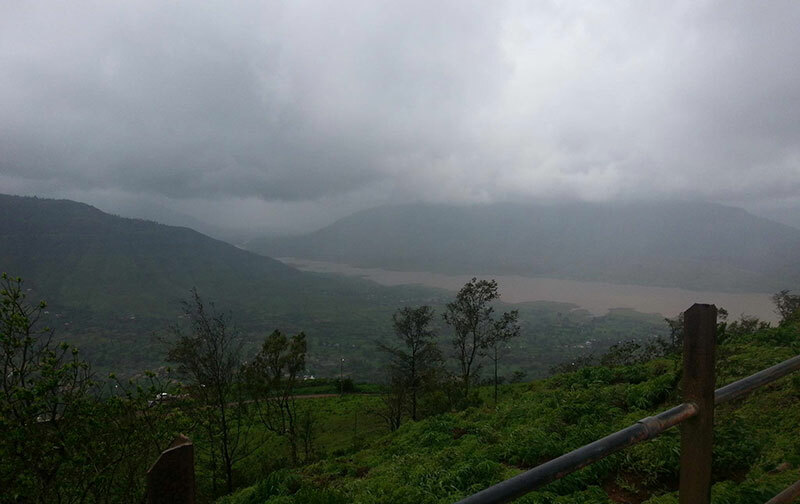 The rains and even the wind in Panchgani are less in intensity than Mahabaleshwar as it is protected by Tableland. The winter season (September to March) is quite cold and the views provided are the best through the year, since the entire place is abuzz after the recently over rains (June to September) and the clear winter skies, golden sun, fresh earth and cool breeze combine to form an enticing invitation to explore Panchgani. Apart from the sights, Panchgani offers various berry farms including Strawberry, Mulberry, Raspberry etc. ; farms providing honey, jelly, jam as well as a number of cottage industries that provide handicrafts of cane, bamboo and other local products. Located as a backdrop of Hotel Ravine, Table Land is a unique “natural heritage” site. It is actually a lateritic geological structure, 16km long, which gives it the title of being the second largest plateau in Asia. It is completely flat piece of land that has horse-rides, lake, shopping stalls etc. Like all Panchgani places, it provides some very beautiful views. A favorite meeting point of the Parsi community, this point offers amazing view of the Dhom dam and the Krishna River Valley. Devil's Kitchen A place with mythological significance, Devil’s kitchen is just to the south of Table Land. It is said to have been a shelter for the Pandavs of Mahabharat fame when they were escaping. Panchgani schools: are quite famous for their wonderful all round education and are very popular among India’s elite for educating their wards. Though it is near to Mumbai and Pune and thus generally considered as a cheap honeymoon destination, it has its own charm and can give a unique experience if visitors know and select the best places to enjoy it in. Hotels panchgani, resorts panchganiHotel Ravine is one such destination to get the best out of Panchgani. Considered as one of the best resorts/hotels in Panchgani, it provides multiple facilities, right from professional training to family outings, business conferences to honeymooning couples. Everyone can have a vacation of his or her choice at Ravine Hotel. One of the most preferred destinations amongst resorts near Pune / Mumbai, it offers a variety of unique things apart from the usual sightseeing offered by others. For e.g. Hotel Ravine is one of, if not the only, resort providing adventure sports like paragliding in India. Guests can have a game of tennis right on the edge of an amazing valley while few others may relax in an excellent therapeutic spa. Hotel Ravine promises a wonderful time for everyone, yet assures privacy and exclusivity like no other Panchgani resort/hotel can. Click here for best time to visit Panchgani, cost effective Panchgani hotel deals as well as to find out more on what guests can avail at our Panchgani resort. There maybe many cheap Panchgani hotels, but there is no other “value for money” Panchgani hotel that offers as many facilities as Hotel Ravine does.